When it comes to security, complacency can be a true burden. It’s why it is critical to always be up to speed on the new trends, technologies and products for protecting the facilities you manage from physical threats. Whether you oversee a healthcare facility, municipality, commercial shopping center, college campus, international airport or a private business, preventing crime and maintaining public safety is an ongoing challenge. Many security experts agree that there are three things that help facilities deliver a high level of security: Information, context and responsiveness. Organizations need to be able to collect intelligence, quickly contextualize relevant information and use it to accelerate response when security is threatened. A Video Contents Analytics (VCA) system can help accomplish all three of these. Today’s VCA systems are used in everything from assisting police investigations to preventing retail theft, by transforming video data into searchable, quantifiable and actionable intelligence. Such systems leverage an existing security system’s infrastructure to streamline efficiency and better help security professionals manage and maintain public safety. 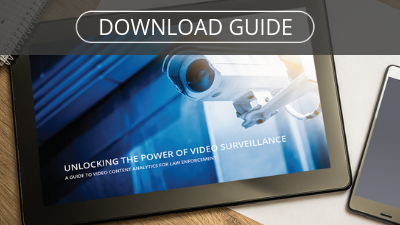 For law enforcement, video analytics are imperative for accelerating and solving investigations, pinpointing targets in surveillance footage and collecting evidence to support cases. Security robots or poised to enhance physical security in 2019 and extend the scope of on-site security. A smart safety tool, these robots are designed to circulate a guarded area and complement the human security guard’s oversight. Many police departments are currently using robots to help monitor areas of high crime, and schools and private businesses could also benefit from robot surveillance, notably when it comes to detecting unusual activity. A roaming security robot can also help provide an extra level of security and serve as a crime deterrent in places such as parking garages and on college campuses. Working together with the existing security infrastructure and staff, security robots will help maximize efficiency and effectiveness. Artificial intelligence is the latest technology craze – and with good reason! AI-backed applications are enabling security professionals and law enforcement to streamline their operations and investigations. Momentum for face recognition, for instance, is fast growing as technological solutions have become more accurate and sophisticated. Face recognition uses artificial intelligence and machine learning techniques to match and verify biometric features that appear in video against faces included in a watchlist. While policy regulating the use of the technology is still being developed, face recognition is enabling security and law enforcement agencies to drive investigations and incident response. As the technology continues to develop, its users and producers will continue navigating how to balance its security benefits with principles of transparency, accountability, fairness and regulation. Beyond personal resolutions for 2019, security optimization always needs to be at the forefront of an organization’s focus. The start of a new year is a great opportunity to ensure that your business goals are aligned with your physical security requirements and that you are taking the necessary steps to ensure the safety of your facility.